Queensland has adopted the new Planning Act 2016 (Planning Act) – repealing the Sustainable Planning Act 2009 (SPA) – with the change taking effect on July 3, 2017. Should Cities Have More Power Downloaded to Them? Is central national government broken? Hyper-partisanship on many aspects of economic, education, health and aspects of life and society in Australia has the potential to deteriorate into the chaos of populism found in many parts of the world. Reforming urban land use regimes need to ensure that they have the flexibility required for the urbanised knowledge economy and are able to channel development in ways that enhance, and do not undermine, the creative, innovative, and productive capacities of urban economies. The build-to-rent industry is gaining strength in the United States and Europe, but it has a minimal footprint in Australia. Around the world, housing authorities and government treasury/ finance/ taxation/income revenue and planning and infrastructure departments are struggling to find the ways and means of making housing more affordable without increasing national and state debt and deficits. Entities can reduce their risk profile by having in place systems and clear documentation identifying all parties who are identifiable as “a related person” for the “chain of responsibility” laws under the Environmental Protection Act 1994 (EPA 1994). According to a rule of thumb developed by the World Bank that is now accepted around the world, every dollar invested in infrastructure generates two dollars in economic performance. It is estimated that by 2050, three-quarters of the world population will be inhabitants of the urban environment. The Queensland government established the Renewable Energy Expert Panel in early 2016 to provide advice on credible pathways to achieving a 50 per cent Renewable Energy Target (RET) for Queensland by 2030. The Queensland Government has legislated an additional three per cent stamp duty surcharge (known as Additional Foreign Acquirer Duty or ‘AFAD’), which came into force on 1 October 2016. It focuses on when a foreign person acquires residential land in Queensland. 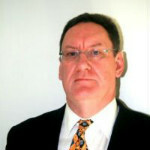 An Urban Planner & Project Manager, Management Consultant, Strategic Thinker, who is focused on Housing, Infrastructure, and Renewables, Brett is the owner/ director of Panther Consultant Planners Pty Ltd PCP is an independent Urban & Regional Planning consultancy committed to achieving the highest standards of professional practice. Brett has 12 years practical experience in the industry of urban development, and over 20 years experience in project development and management in the land and infrastructure, health and human services, and resource sectors. He is a former NED at the Planning Institute of Australia and previously an active member of the professional development and education committees with PIA (Qld).Brett has completed a Masters of Environmental and Community Health, and a Graduate Diploma in Urban and Regional Planning. He is passionate about urban planning, social sciences, social and economic policy, and the dynamics of change in society and organisations, environmentally sensitive development, social and environmental sustainability issues, especially where they concern cultural diversity and inclusivity. His professional practice is focused on community and economic development, energy and transport/ mobility, affordable housing, urban agriculture and agri-business.